When I say I got a PS4 for free I mean that I used 0 dollars from my own personal savings or checking account. Money I earned from my work went into a savings account for my house (188 to the bank for first time home buyer’s club (another article entirely for those who want to buy a house) and 800 into savings account). This process will take a while - think 6 to 12 months. 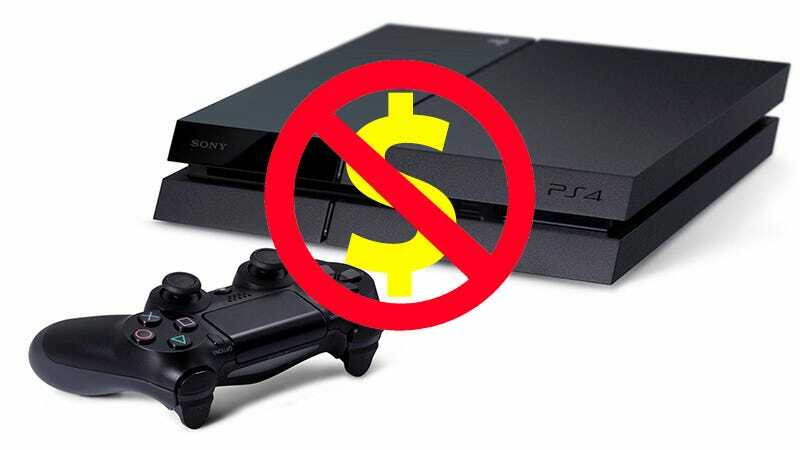 If you NEED a PS4 right now and have the money, obviously you wouldn’t be reading this article. That said, there are several steps that require a bit of a time and effort commitment. How badly do you want that PS4? Are you willing to dedicate around 15 minutes of your day every day to searching the internet from your PC and Mobile? Are you willing to call people and talk to them on the phone and drive to doctor’s offices? If you’re looking for a magic bullet keep looking or skip to Step 7, if you want to find out how to get free money, read on. We’re going to allow 1 year from now and assume all calculations based upon that number (That’s about how much time I spent doing this). Bing, Microsoft’s pretty crappy search engine, will bribe you to use it. Search using Bing. 2 Searches = 1 point up to 15 points a day from your PC and 10 points a day from your mobile phone. These do not need to be real searches. Type A in the search bar, hit enter, type s, hit enter, hit d, hit enter etc. Bing is so desperate for your attention they don’t care if you search for, “ouasd;lfkjsdl;kfjasld;fjawoieru.” Smash away, keyboard warrior. Accumulate points. Get to gold level before you buy anything as gold level gives you discounts on things you can buy with points. Buy a 5$ amazon gift card with that money. You. Yes you. Healthy Young Adult. We need you. For Science! Believe it or not you are in a very good position right now. Well most of you anyway. Medical science is always looking for healthy controls for experiments and will pay you for your blood. Go to your local hospital. Check the elevators, there are usually sheets on them with tabs to rip off. These sheets change regularly but you can rip any of them, call the number and ask to be placed on a list of willing participants. When a study comes up that you are eligible for they will call you. If you’re not eligible, call the study anyway. They may be conducting other studies now, or in the future that you will be eligible for. Unfortunately, the money that studies pay out is not in a lump sum. The upshot of this is that sometimes they will pay you just for the entrance interview. In this way, even though I wasn’t able to be isolated for 15 days, I still made 50$ just for going to an interview about a flu vaccine study. My mother made 200$ by getting her nose swabbed every other week for 6 months. They paid it out in 10-20$ increments. Always go for the blood donations over any longer term studies. Doing long term studies will disqualify you from doing other smaller studies and there’s no guarantee that you’ll be able to stay until the end anyway. Blood draws are quick, easy, and usually pay 30$ a pop or so. They also don’t disqualify you (usually) from doing other studies in a few weeks. Real easy. Birthday and Christmas ask for cash or Amazon.com gift cards. It’s shameless, but money towards a PS4, which is what you really want is a better gift than a sweater anyway. WHO NEEDS ALL THESE SOCKS AND UNDERWEAR MOM? GOD. Sign up for an Amazon.com Rewards card. Any purchase you make on amazon gives you 3% back. Gas and groceries give you 2% back. Every other purchase is 1% back. Other cards may have better rates of cash back. Look into the rewards program of your credit card. Then? This is a risky way to live life, but hey. I like to live on the edge. Again though, your credit score is MAJORLY affected by the balance you carry (ie. don’t pay off each month) from month to month. Although it is beneficial to be using some of your credit (I believe under 20%), carrying a huge percentage of available credit as balance is very very bad. Do not forget to pay off your credit card. I didn’t do the Bing rewards. I just found out about it when Win 10 launched. Woops! So really I have 60$ unaccounted for and here’s how I made up that money. We went bowling one night and outside the bowling alley we saw a fish tank with a sign on it that read, “FREE.” Not having any pride, we grabbed it. I ended up selling it for 80$ after I cleaned it up a bit. If you buy a Big Box at Taco Bell you can text the code on the box to a phone number. Don’t do this. Your odds of winning are worse than your odds of an emergency stomach pump/years of your life being stripped away by delicious incandescent cheese like sauce. If you are already buying tons of Taco Bell it may be worthwhile to switch to eating Red Dorito Taco-y things. Maybe. I don’t know man it’s your life. I won’t judge. The codes themselves aren’t tied to a prize. it’s more like you and every one else are throwing darts at a target that only exists every few minutes. Whoever his it first wins, so wait till every one else is asleep to increase your odds. You’re reading Talk Amongst Yourselves (TAY), Kotaku’s reader run blog. Interested in being a part of the community? It’s as easy as saying hello in our Open Forums! Alternatively check out our Discord server for all your procrastination needs.